Hubert Weston King was born on 23rd January, 1931 in Normanton, Derby, the eldest son of Howard and Jesse King. Educated at the Diocesan School in Friargate, Derby, Hubert left school at the age of 14 to join the family firm of W W Winter Ltd, photographers, of Midland Road, Derby as an apprentice under the direction of his uncle, Austin King, and his grandfather W H King, the then managing director. In his youth, Hubert always thought that he would like to become an engineer. Unfortunately, he suffered from severe asthma and his grandfather said that taking on engineering job would ‘finish him’ and it was agreed that Hubert should join the family firm. Hubert said quite recently that his asthma had disappeared quickly after he started work at Winter’s, mainly, he thought, because the environment at the firm was so cold in the winters. Hubert was fortunate to be taught by his grand­father W H King who passed on to Hubert much of the knowledge and experience he had accumulated since the 1890s. This tuition took place over many years as Hubert’s grandfather didn’t retire until 1947. One of Hubert’s first jobs was to wash developed photographic prints to remove all traces of chemicals. This was done with bare hands in cold running water. In those days, making prints was carried out in daylight in all weathers in an open area at the very top of the building. Hubert said that frequently a lot of ice had to be broken before any work could be done. Hubert’s early years at Winter’s coincided with a successful time for Derby County Football Club. The company had been the official photographers for many years and when the Rams won the FA Cup in 1946, they asked Winter’s to photograph the team with the trophy. It must have been a tremendous honour for the fifteen year old Hubert to be given the task of carrying the Cup on to the pitch to be photographed. Hubert was taught all aspects of photography by his grandfather, his uncle and the other staff at the firm, who were consummate portraitists and commercial photographers and who had built up the business to encompass a wide range of industrial and commercial clients. Having mastered the art of daylight printing, Hubert was then taught the skills of print retouching (in the comparative warmth of the retouching room). In 1949 Hubert started a four-year City and Guilds evening course at Nottingham College of Arts and Crafts. Unlike the other students, Hubert already had a wide knowledge of the practical side of photography and this gave him a special rapport with the tutor, a Mr. Harry Beaumont, who taught him the theory and understanding of more advanced photographic applications. Towards the end of the course, Hubert had to prepare a portfolio which included some studio photography. Following his qualification, Hubert joined the team at Winter’s full-time and practised his craft there right up until a few years ago. He worked extensively with Mr Charles (Charlie) Barson, for whom he had an enormous regard and with whom he developed a close and lifelong friendship. Hubert had many stories about their working together on locations including what today would be considered very dangerous commissions. At one time, the pair climbed up the cooling towers at one of the newly built Trent valley power stations—Health and Safety was a lot more lax then. With another colleague, Hubert took a trip in a cable car very high above the ground and took shots by hanging on at the open door of the cable car in order to produce the required shots. Hubert was a member of the British Institute of Professional Photography from 1968 until his death. He was treasurer and president of the East Midlands Region of the Institute and had received awards in full recognition of his service. Following his uncle Austin King’s retirement in 1975, Hubert became Winter’s managing director. Hubert’s tenure at Winter’s saw huge changes in photography. When he started, the equipment was bulky and heavy, there was no electric flash and negatives were large and made of glass. The technology at the time presented many limitations. As the years went by, film cameras were introduced and electric lighting allowed photography to take place out of daylight hours. Digital photography was the next revolution, giving skilled photographers like Hubert opportunities to acquire many new and different techniques. Hubert immediately embraced all aspects of digital working, realising that so many of the old time-consuming aspects of photography could now be superseded, with better results, by the use of computers. He always pointed out though that what counts most in all photography is the person behind the camera. 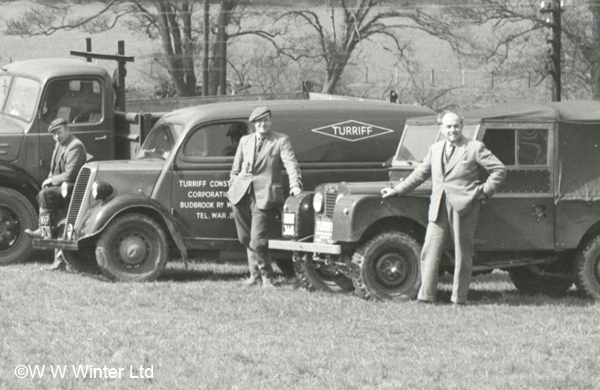 Hubert remained at Winter’s for the whole of his working life, retiring only in 2016 due to failing health. He died on 25th December 2018 after a short illness. He was a hugely practical man and there is so much in the building at Winter’s studios in Midland Road today which exists as a testament to his ingenuity and skills. This involved much use of his circular saw in the cellar! He wouldn’t hesitate to build a new photographic background, put in a stud wall, build a new work bench and so on. Problem-solving was his forte. Hubert was always passionate about Winter’s and the company’s historic significance to Derby and the wider photographic world. It was important to him that Winter’s should continue after his death and he was fully supportive of the Winter’s Heritage Trust which was set up in 2017 to preserve, protect and archive the collection of photographic plates, artefacts and memorabilia at the studio. Hubert’s family, colleagues and friends will ensure that his legacy continues, and that Winter’s continues to thrive and retain its place in the history of photography. I’ve been interested in photography for as long as I can remember so when I was given the opportunity to volunteer at W.W.Winter at Midland Road in Derby I jumped at the chance. Having just retired I wanted something to keep my mind active but also to be involved in something useful. I persuaded my wife, Sue, to join me in this little challenge and together we attended an enrolment evening at Winters where we were led through a portal into the past, a history of photography in Derby. Well, my appetite was well and truly whetted and I couldn’t wait to get started. Sue and I attended a further brief session at Midland Road along with several other like-minded friends of the W.W.Winter Heritage Trust where we were shown how to clean, sort, scan and log glass plate negatives; it’s a mammoth task. There are thousands of glass negatives dating back to the early years of W. W. Winter. So far Sue and I have helped to catalogue hundreds of glass plates, mainly from the 40’s/50’s. There are a lot of weddings and domestic events to catalogue but every now and again a commercial gem appears. 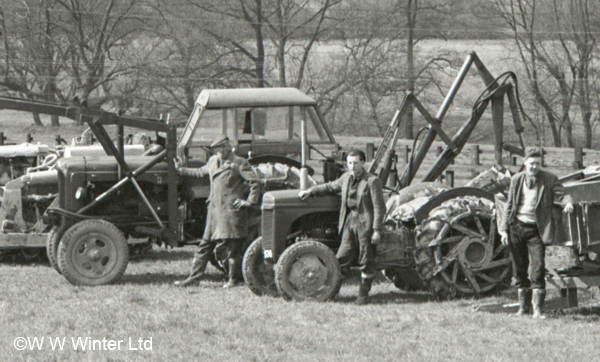 Sue and I have just scanned several glass slides of machinery and vehicles involved in a land drainage scheme near Ashbourne in 1956; a little mundane you may think but the vehicles and machinery of are of interest to me, so the research of a particular area or event, or even the company involved, sit side by side with the photographs as some documentation still exists. At the moment my wife and I spend one morning per week at Midland Road and I can honestly say it’s an enjoyable and interesting experience cleaning, scanning and logging glass negatives which were last looked at over 60 years ago. My wife enjoys seeing the clothes worn during the period, my interest is the vehicles so we both derive pleasure from the experience whilst offering our time. As a retired fireman I’m hoping that one day I’ll come across old firefighting equipment or fire stations lost and forgotten both Borough, City and hopefully private brigades. The Trust was delighted to host a highly information and equally enjoyable talk from Dr Michael Pritchard of The Royal Photographic Society. His talk covers the history of photography through the lens of Derby’s involvement. 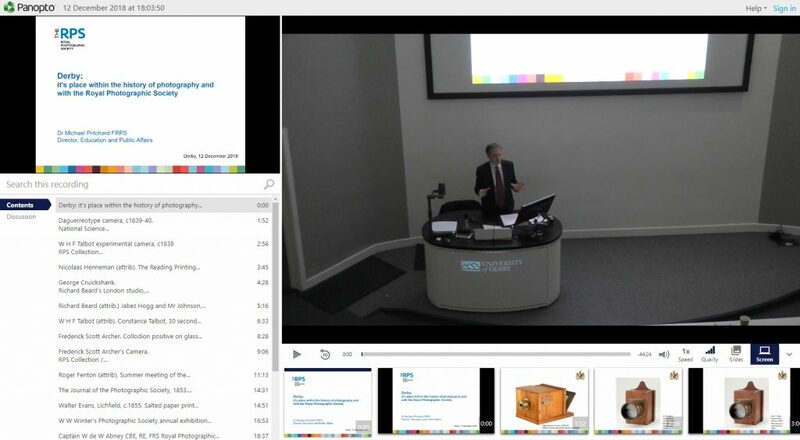 The talked was filmed by Dr Mark Hall (senior lecturer in commercial photography at Derby University). We are grateful to both Michael and Mark for allowing us to share the video on our blog. If you like what you see, please consider becoming a member of The W W Winter Heritage Trust, or a heritage volunteer, to ensure the conservation of our archive continues. Contact us on friends@wwwinter.co.uk or phone W W Winter Photographers on +44 1332 345224. Please note this talk is copyrighted to Dr Michael Pritchard – please contact us if you would like to host the talk on your own platform. Dr Michael Pritchard of The Royal Photographic Society gives a talk for The W W Winter Heritage Trust on Wednesday 12 December 2018 at Derby University. Image thanks to Dr Mark Hall. As The W W Winter Heritage Trust grows and develops we hope to bring you blogs from Trustees, members and volunteers to give a personal view on the heritage of W W Winter, and to explore the ongoing research and finds. Up until now we have been blogging here. Do take a look at some of our exciting finds and research!